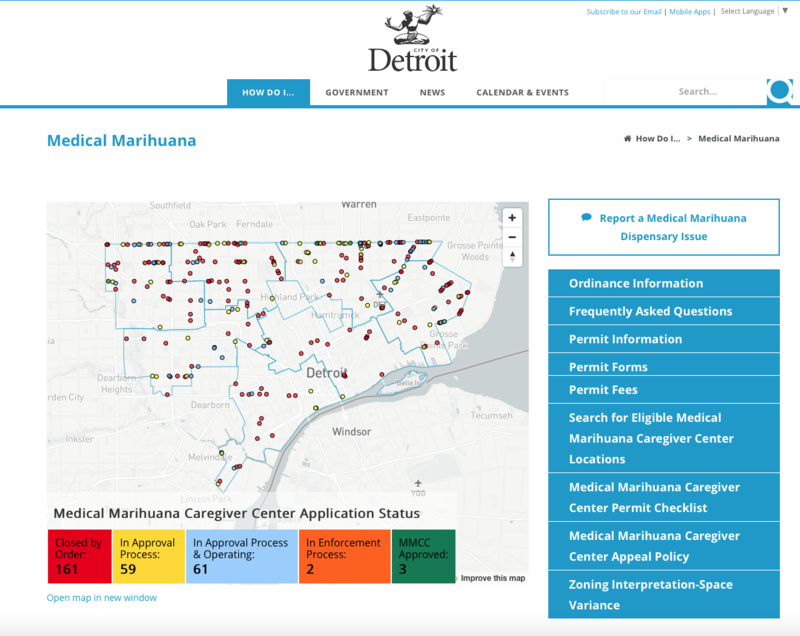 Medical marijuana users have a new way to learn about caregiver centers in Detroit. An interactive map will help them track the status of the more than 280 centers across the city. 120 shops are in the application process. Over 60 of them are able to operate in the meantime. Marvin Jamo, owner of a medical marijuana caregiver center in Detroit, says plenty of people use medical marijuana. 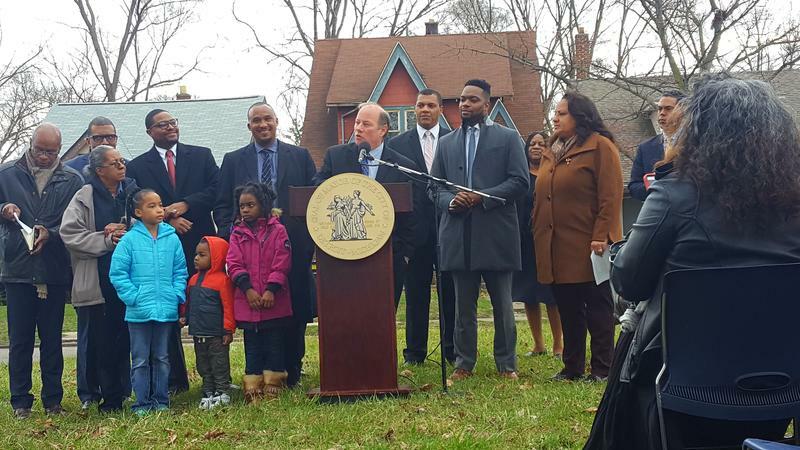 Detroit Mayor Mike Duggan says neighborhoods won't be left out of the city's comeback. Duggan announced his two year plan to invest $4 million into the Fitzgerald neighborhood on the city's northwest side, near Livernois and McNichols. The project aims to rehab 115 vacant homes and 192 vacant lots, create a two-acre park, and build a bike path between Marygrove College and the University of Detroit Mercy. Maurice Cox, the planning director for the project, says the goal is to create something seldom seen in the city. Have you ever noticed something like a fallen tree or a downed power line in the city and not known which city department to call to come take care of it? Well luckily, there’s an app for that if you live in Detroit. 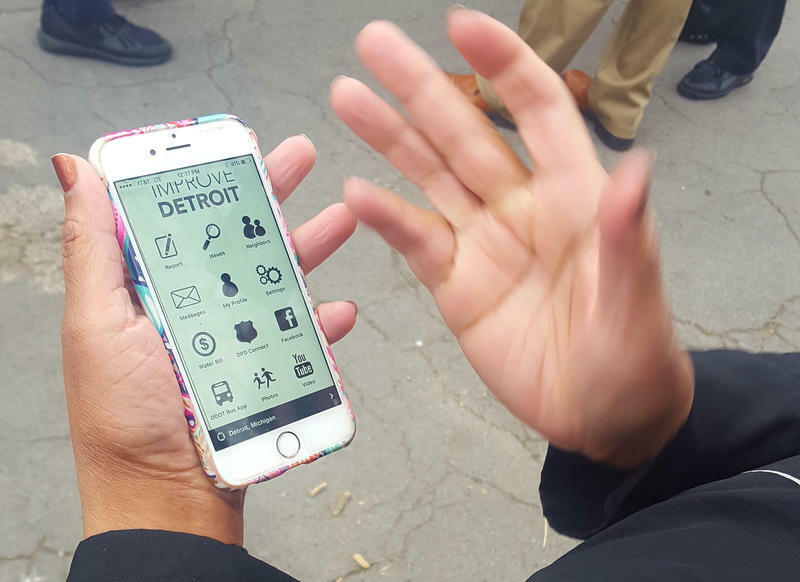 The Improve Detroit app has been used to help residents report issues like potholes, fallen trees and broken street lights. Today the city focused on addressing some of the illegal dumping sites throughout neighborhoods on Detroit’s west side. 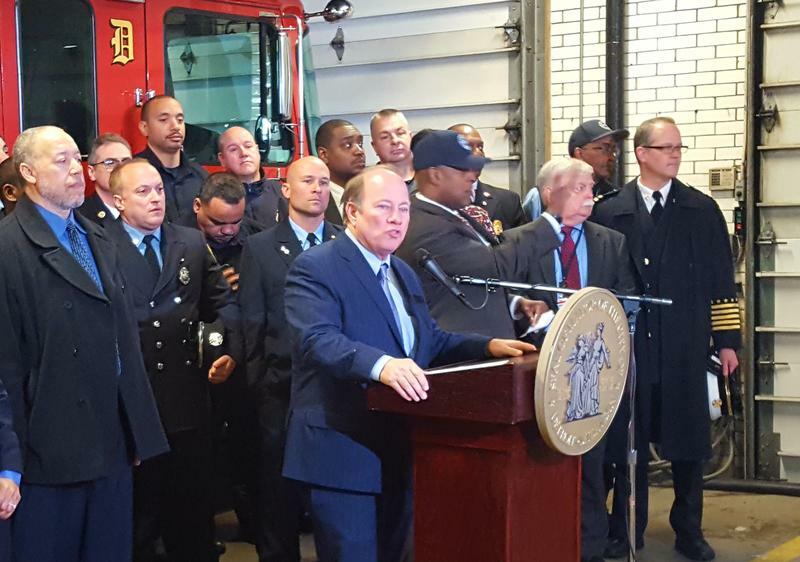 Detroit firefighters are responding to medical emergencies, Mayor Mike Duggan announced Thursday. Duggan launched a medical training program for firefighters two years ago. Since then, firefighters have responded to more 30,000 medical runs, nearly half of all the city's life-threatening calls. Duggan says firefighters are the first to arrive to emergencies 60% of the time, frequently keeping patients alive until paramedics arrive. Photo courtesy of Dawn Tobias. 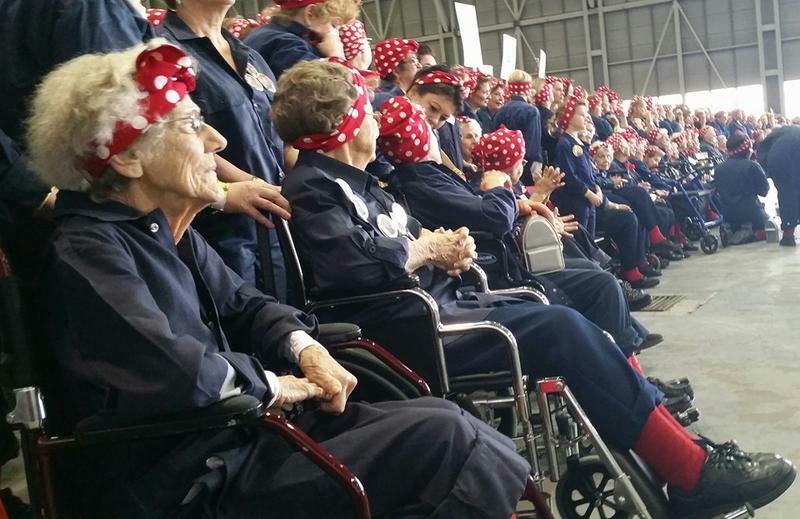 Original Rosie the Riveters are wanted for a project with the U.S. Library of Congress. The Yankee Air Museum wants to interview those women who contributed to America’s victory in World War II by working jobs usually occupied by men at the time. Julie Osborne, the curator at the museum, says the museum has been collecting interviews from veterans for at least a decade before this project. 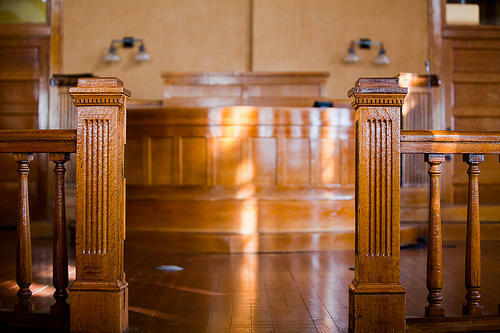 Jim Fouts will get to stay mayor of Warren longer than some residents might like. 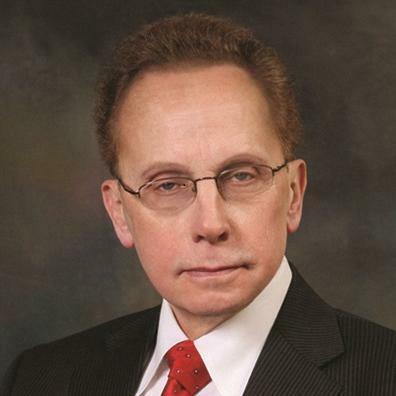 The Macomb County Election Commission has rejected all six recall petitions against Mayor Fouts, despite ongoing controversy. Fouts has been surrounded by controversy for alleged audio recordings of him saying disparaging and mocking things about mentally ill children, women and black people, and for potentially breaking campaign finance laws. 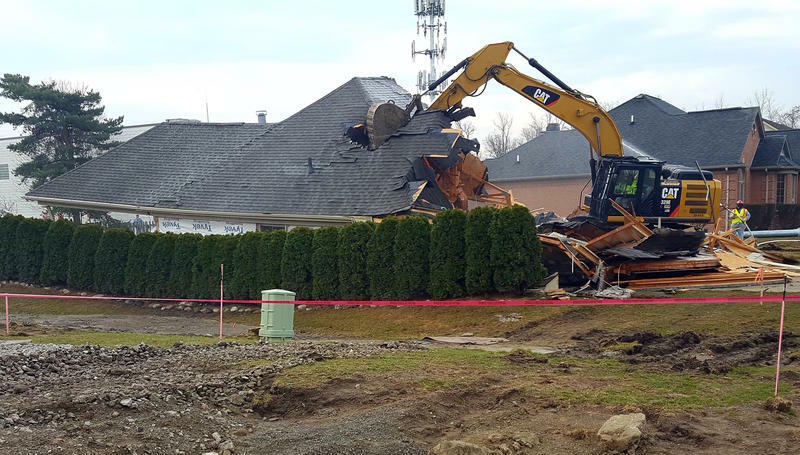 The first home condemned because of a sinkhole in Macomb County was torn down today. Dozens of homes in Fraser were evacuated after the sinkhole formed on Christmas Eve. Most families returned to their homes within a week, but three houses couldn’t be saved. Fraser Mayor Joe Nichols is pleased with the progress of the construction along 15 Mile Road, despite the somber situation. 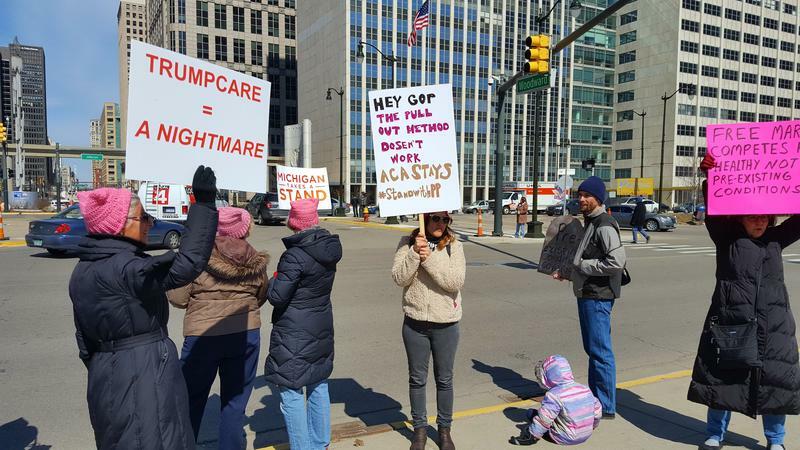 Protestors marched in downtown Detroit today for what was called a – seven years from the day the ACA was first signed into law. Many of the protestors said they're afraid they and others will lose their health insurance coverage if Obamacare is repealed. Henrietta Ivey, a home care physician in Detroit, spoke at the march on behalf one of her patients who is in rehab due to kidney issues. Detroit has more renters than homeowners for the first time in 50 years, and according to a recent report, this could be a bad thing. The Detroit Future City report from earlier this month notes that the high number of foreclosures and overall population loss contributed to this. Anika Goss-Foster, the director of the DFC office, thinks the real issue is the high number of low-income renters. 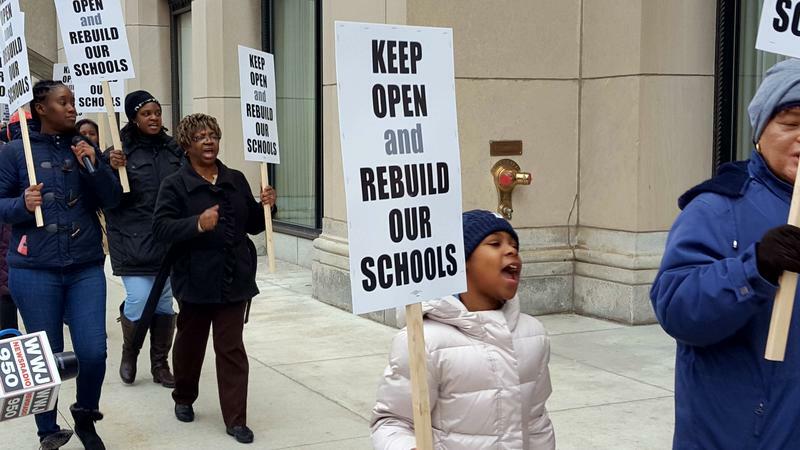 “It creates all kinds of other multi-layered issues for families that prevents them from thriving and prevents neighborhoods from stabilizing in Detroit,” she said. 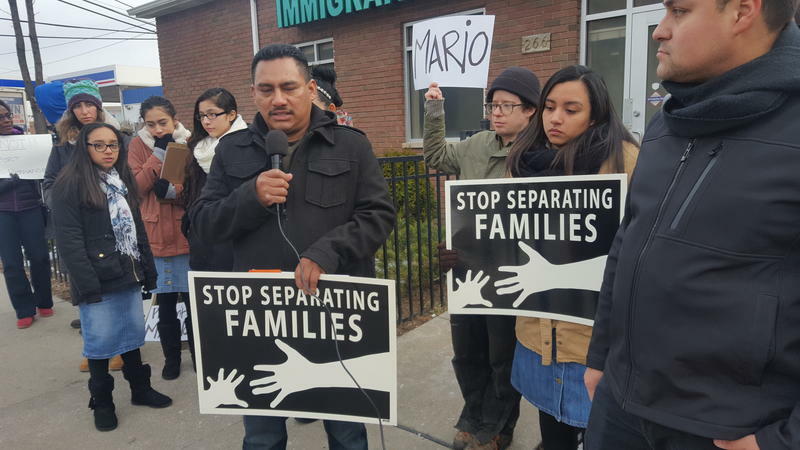 Mario Hernandez came to Detroit as an adult from Mexico without a visa in 1998. Hernandez has since started a small business, raised three daughters, and given back to his community. But he may not be able to stay here if the U.S. 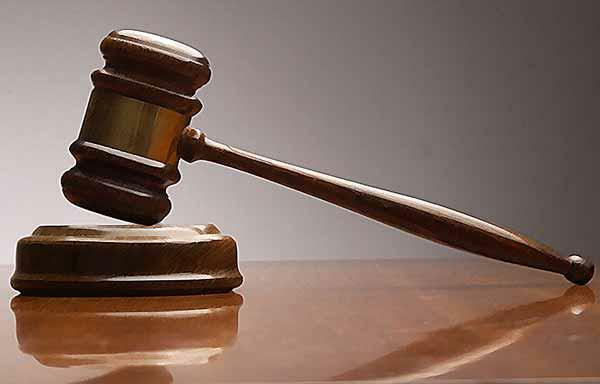 The Board of Immigration Appeals is considering his appeal of a deportation order. Estrella Hernandez, Mario's oldest daughter, says it wouldn't make any sense to deport her father. 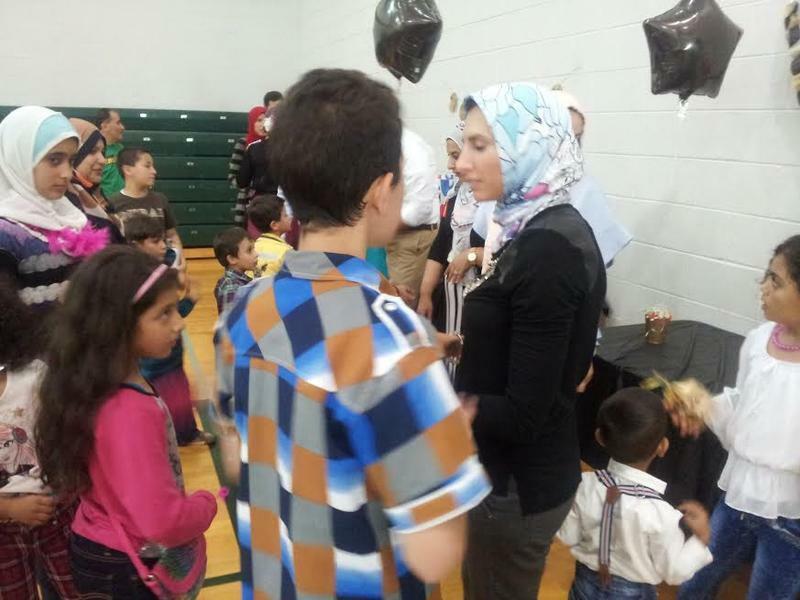 Dr. Ben Carson came home today to speak at a school named after him. 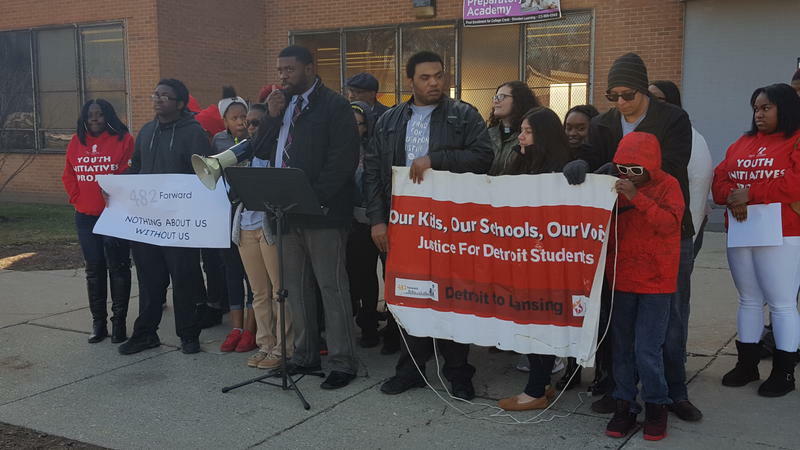 Although most Detroiters voted Democratic in the 2016 presidential election, the newly appointed secretary of Housing and Urban Development felt it was important to begin what he called a national listening tour in his hometown. 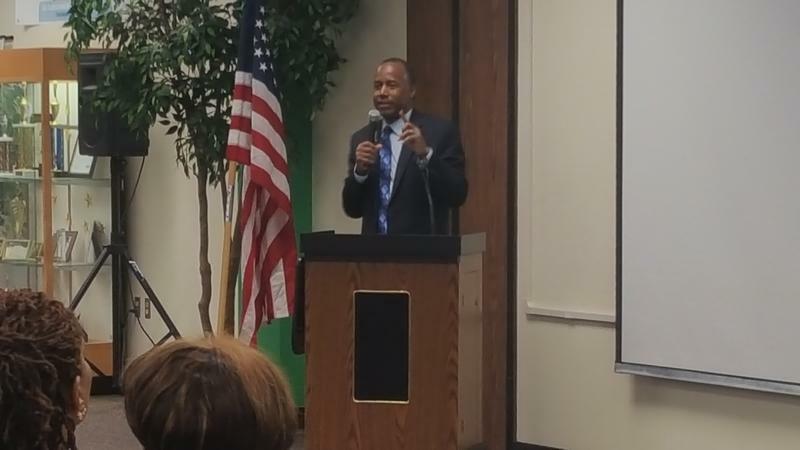 "Growing up here in Detroit, I think, was a tremendous advantage to me," Carson said to a crowd of students, parents, teachers and city officials. 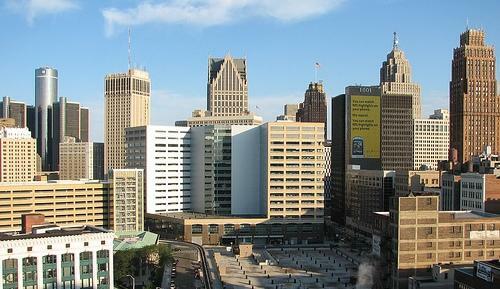 "Other people like to denigrate Detroit, but I think Detroit is great place, quite frankly." Macomb County officials approved $45 million in construction costs today to fix a massive sinkhole there. 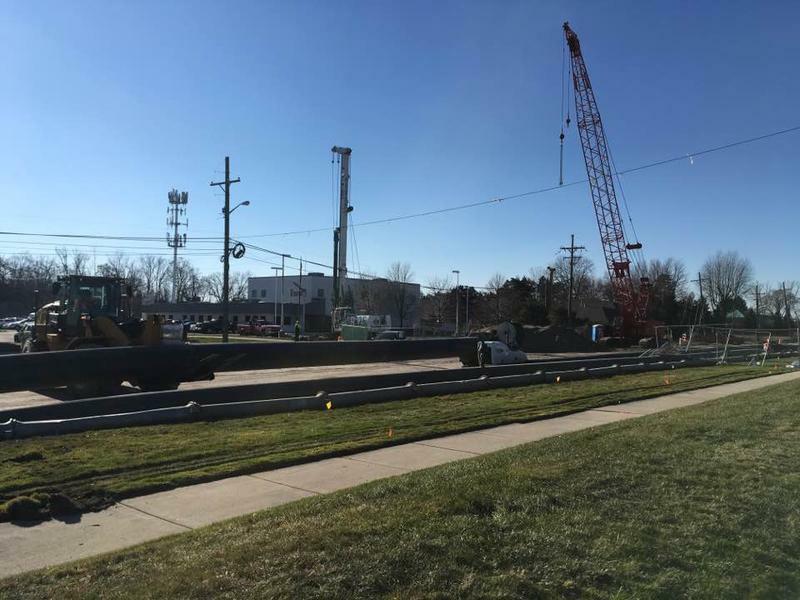 The Macomb Interceptor Drainage District board approved a contract with a new construction firm to repair the collapsed sewer pipe in Fraser. The board also approved paying for the work that has been done in the area to date. The sinkhole, which was discovered on Christmas Eve and caused dozens of homes to be evacuated, has condemned three homes. About 400,000 homes and businesses in Michigan were still without electricity Friday night – after high winds knocked out power to much of the state on Wednesday. 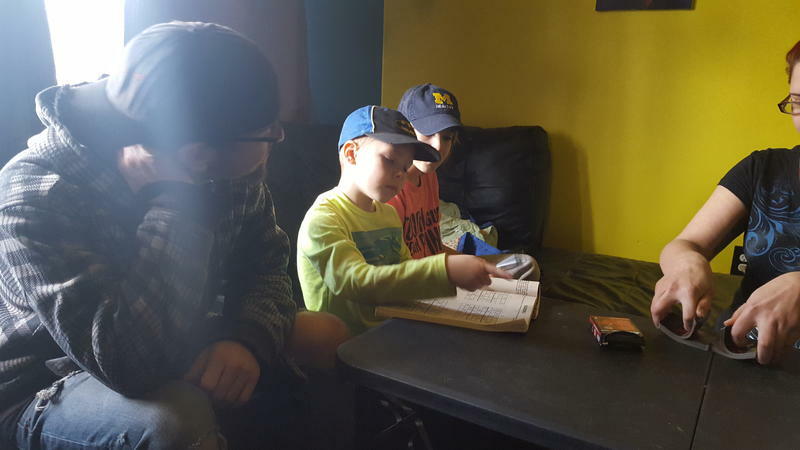 Listen to the story of how Michiganders are faring during the power outage. Tim Bartik, Upjohn Institute senior economist and the study's main author, said business incentive programs can end up costing states a lot of tax revenue. Detroit Mayor Mike Duggan officially has a challenger in the city's mayoral race. And his name is familiar to many Detroit residents. 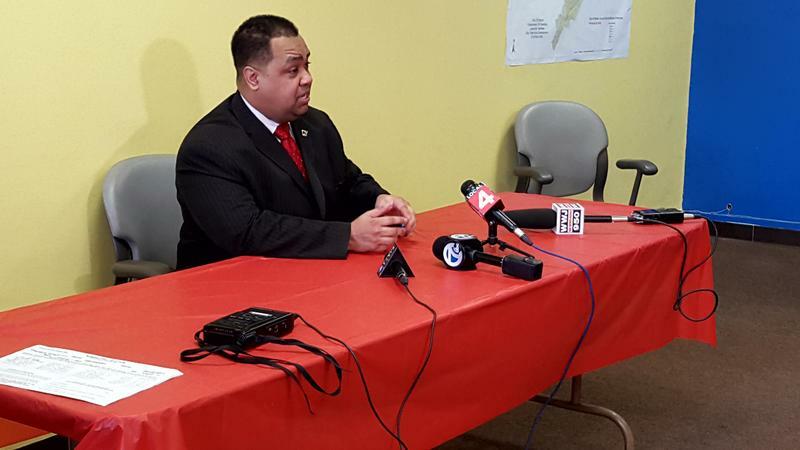 Coleman Young, Jr. officially announced he's running for mayor in the upcoming August primary. 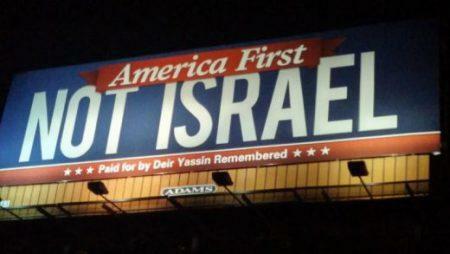 The 34-year-old state senator is the son of former Detroit mayor Coleman A. Young. While sitting under a picture of his father, he said he's not running on his father's name.